Since the news has hit social media that a first ever bullion silver Krugerrand release is on the horizon, we have been inundated with emails and phone calls. While the general market interest has been excellent, the misunderstanding and lack of clarity about this product seems to be widespread. In this blog article, I will attempt to bring some clarity about this ‘new’ product, and answer some of the typical questions investors have asked over the past couple of weeks. Is this really a new product? Yes, it is a new product. It is the first ever bullion silver Krugerrand release that is aimed squarely at silver investors rather than collectors. This difference is important to understand. Last year, the SA Mint released a 50th anniversary silver Krugerrand, which is a high premium commemorative coin with a limited mintage of 1 million. The name given to these coins was premium uncirculated. Since its release, this coin has been trading for anywhere between R550.00 each, to well over R1000.00 each. In addition, the SA Mint has also released an even higher premium proof Silver Krugerrands with a maximum mintage of 15,000 coins. It comes in a box and a certificate of authenticity and it trades for over R2,000.00 each. 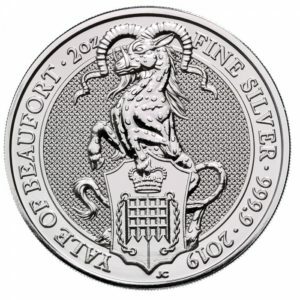 However, the 2018 silver bullion Krugerrand is a release issues by a Rand Refinery and SA Mint partnership, and it is pitched to compete against other world renowned and recognised bullion coins, like the American Silver Eagle, the Canadian Silver Maple, and the British Silver Britannia, which are all characterised by low manufacturing costs and unlimited mintage. It is therefore important to understand that the 2017 silver 50th anniversary Krugerrand is not in the same category as the 2018 silver bullion Krugerrand because they are high premium special issue coins that are limited to a definite mintage. Am I an investor or a collector? While most of my clients do not ask this question outright, the typical questions that I get certainly demonstrate that the difference between collectors and investors is not always clear. The difference is very important, not the least because many confuse the 2017 and 2018 silver Krugerrands. 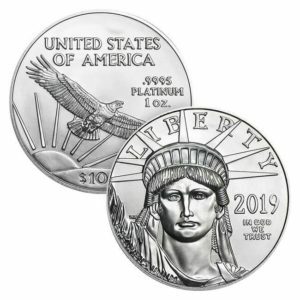 Generally speaking, coin collectors and those that invest in rare and numismatic coins (which may or may not contain silver or gold) are concerned with things like rarity, mintage numbers, certification, pretty presentation boxes, and so on. Pure investors in silver (and gold), on the other hand, are not concerned with such things. Rather, they are typically concerned with weight, purity, and price. The lower the premium above the spot price, VAT, and the manufacturing costs of a product, the better. That is, the most amount of silver and gold for the least amount of rands. For example, a coin collector may pay R2,500.00 for a proof 2017 silver Krugerrand. One can argue that strictly speaking, such a purchase is still an investment in precious metals. But a bullion investor would not pay a 800% premium on an ounce of silver that sells for under R300.00 on the open market. Whether you are an investor, or a collector, or both, it is therefore very important to understand into which category you fall. Are silver Krugerrands low premium? The 2018 silver Krugerrands are in fact low premium bullion coins. Compared to the 2017 silver Krugerrands, they are less than half price. Perhaps the high premium categorisation by some is due to the VAT that is levies onto silver products in South Africa. In the US and Canada (where I see most investors checking prices), silver is VAT exempt. In South Africa, the only precious metal product that is VAT exempt is the gold bullion Krugerrand. Every other product, in any purity or form, whether silver, gold, or platinum, will carry VAT. So, it is easy to find a US online precious metals dealer (pre)selling a 2018 silver Krugerrand for $18.50 (R245.00) and conclude that the slightly below R300.00 cost in South Africa is expensive or high premium. The difference is simply the VAT of 15%. And if you are dealing with a dealer that has a fair buy-back policy, you will receive the VAT when you sell the silver back to them. (See article on VAT and the silver price here). What drives the price of the silver Krugerrand? The 2017 Krugerrand prices are driven by market sentiment. The price reflects what collectors are willing to pay. Since its release, they have been decreasing in price. Sadly, several people bought silver Krugerrands last year for R750.00. I know of some that paid close to R1000.00 each. Now, these are available for R500.00 on some online platforms. What makes the situation more damaging is that some dealers are offering only the spot price (about R200.00) to those that wish to sell them. 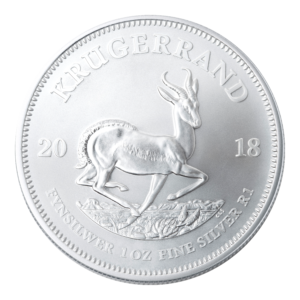 The 2018 silver Krugerrands, however, are driven exclusively by the silver price and the rand/dollar exchange rate. Prices drop if the exchange rate weakens, and increase if the rand strengthens. Similarly, prices drop is the silver spot price decreases, and increase if the silver price increases. Moreover, the prices are set daily, so the rand price is market sensitive to the day. This means that there is no price discovery mechanism that is set or controlled by dealers or large sellers. The price is set daily by the markets, and it is very easy to pick out who is charging an unreasonably high premium on any given day. What about the first year of issue? 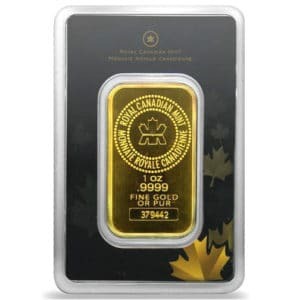 As with most bullion coins across the world, the prices are mainly uniform. However, I have observed that first year issue bullion coins often end up selling for a slightly higher premium in future years. For example, the 1986 American Silver Eagle (first year of issue) is trading for well over 100% above the later years. 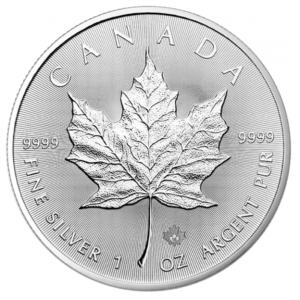 The 1988 Canadian Silver Maple (first year of issue) trades at a 50% premium compared to the 2018 release. The same applies to bullion coins like the 2016 Australian Silver Kangaroo. Will the 2018 silver bullion Krugerrand collect a similar premium in the years to come? If history is anything to by, then the answer is probably yes. However, if that is indeed the case, it should be viewed as a bonus, and not the chief rationale for purchasing them. After all, the 2018 silver Krugerrands is a low premium bullion coins with prices directly relational to the spot price and the exchange rate, not rarity. Given that the Krugerrand is a trusted bullion brand without equal, the silver Krugerrand has a very bright future. Trust in the precious metals market is very difficult to earn for any refinery or mint (private or government owned). It is developed after decades of consistency in terms of quality and market supply. For this reason, the Krugerrand brand is trusted and recognised the world over and I am certain that the silver version will change the investment bullion landscape, at least in the form of legal tender coins. I predict that within 12 months, the silver Krugerrands will surpass 10 million coins. In 2016, the Perth Mint released the silver Kangaroo 1 oz coin to compete in the legal tender bullion space against the American Eagle, the Canadian Maples, and the like. In the first year of issue, they produced and sold just over 11 million coins. With the reputation of the Krugerrand, I think that the silver Krugerrand will surpass this figure, notwithstanding the market factors that may be different from 2016. The bullion silver Krugerrand is a historic release and it will become one of the most desirable and trusted silver legal tender bullion coins in circulation. Well done to the SA Mint and the Rand Refinery for finally making the decision to bring this product to the South African and international bullion market. 2018 will indeed be a memorable year!